A well-known politico is trying out the role of "chef" at D.C.'s bustling Union Market. 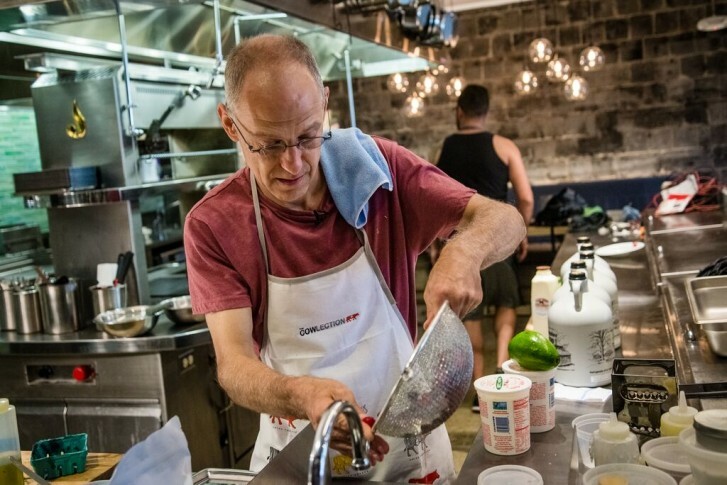 WASHINGTON — Ezekiel Emanuel is well-known in Washington for his work in public health and health policy, but this summer the bioethicist is testing out a new role — that of chef. For four days, Emanuel will take over the kitchen in Nick Stefanelli’s new Union Market eatery, Masseria, to host a breakfast series. “I’ve often said that when I retire, that’s what I’m going to do — create a brunch-diner,” says Emanuel, who currently serves as the vice provost and chair of the Department of Medical Ethics and Health Policy at the University of Pennsylvania. But after the encouragement of some friends, Emanuel decided to test out his dream sooner rather than later. He will debut his culinary chops on July 25 and 26, and then again on Aug. 1 and 2 between 8 a.m. and 1 p.m. However, there are a few other reasons behind the health expert’s breakfast series. For starters, he wants to promote healthy eating. Emanuel is planning a menu that includes traditional breakfast items such as a Gruyere cheese omelet, a chanterelle mushroom omelet, French toast, blueberry pancakes, challah, mixed berries with yogurt and muesli, and grilled peaches. “These are things I would regularly make for my children for breakfast before school,” he says. There are a few nontraditional items on the menu, as well, such as a quail egg omelet and duck bacon. Diners will leave with full stomachs, but they’ll also leave with materials on Emanuel’s approach to health and wellness and advice on healthy food choices (he swears by yogurt, nuts and fresh fruit). Emanuel also plans to give away his blueberry pancake recipe and the recipe for a banana cake he used to make his daughters after school. He says breakfast is the most important meal of the day, and he wants others to know that it doesn’t take a lot of time and effort to make a wholesome meal at home in the morning. But he likes to challenge that mentality: Emanuel says his blueberry pancake recipe is so quick, he can whip up a batch faster than the time it takes to pull a waffle out of the freezer and heat it up in the toaster. “I want them to have the recipe and be able to have that confidence that this isn’t a big ordeal,” he says. Emanuel’s four-day takeover may only be a test-run for his plans after retirement, but he’s already facing the question: What if it’s a success? Reservations are taken on a first-come, first-serve basis by emailing reservations@masseria-dc.com. A portion of the proceeds from the breakfast series will benefit Martha’s Table, DC Central Kitchen and the Good Food Awards.